Canon MF 4320d toners will always be a good deal less expensive at Cartridge Save. We pride ourselves on supplying Canon toner which you'll find super-cheap to purchase and consistent to work with. Are you still not sure? We hope to help save your money and time by giving customers with free next day delivery on all Canon MF-4320d toner. In case you needed more reason to purchase Canon MF4320d toner from Cartridge Save then you should take into account the cash back guarantee. On the grounds that we want you to get complete customer satisfaction every time you purchase laser toner we will always refund your payment if you're unhappy. Users looking for an affordable and compact all-in-one should consider the Canon i-SENSYS MF-4320d multifunction printer, which boasts a scanner, copier, and a mono laser printer. The i-SENSYS MF-4320d printer is easy to operate and promises long-term savings, but it lacks networking options. The Canon i-SENSYS MF4320d printer measures 390mm wide, 588mm tall, and 775mm deep and weighs almost 12kg – heaver than most comparable models. It fits inconspicuously in a corner or on a desktop because of its monochrome frame and a plain top that is mostly dominated by the flatbed scanner and copier. The control panel with a 2-line, 16-character display is angled in front and while it looks busy, there are actually one-touch buttons for easy operation of the scan and copy functions. At the bottom lies the standard 250-sheet input tray and a 100-sheet output tray. The Canon i-SENSYS MF-4320d laser multifunction printer connects to a PC via high-speed USB 2.0. The Canon i-SENSYS MF 4320d makes a good entry-level multifunction printer for a small office because of its reasonable initial price. The MF-4320d Canon printer boasts a TWAIN and WIA-compatible flatbed scanner and versatile paper handling options. The waiting game is cut short because the Canon i-SENSYS MF-4320d all-in-one prints quick at up to 22ppm in high 1200x600dpi resolution. The Canon MF4320d monochrome laser printer is also praised for being energy-efficient and its automatic 2-sided printing capabilities. Though aimed at small offices, the i-SENSYS MF-4320d lacks Ethernet and Wi-Fi options, limiting its capacity to be shared by a workgroup, making it solely suitable for a home office or a single busy user. It also emits a considerably noticeable amount of sound at 63.5dBA when active. 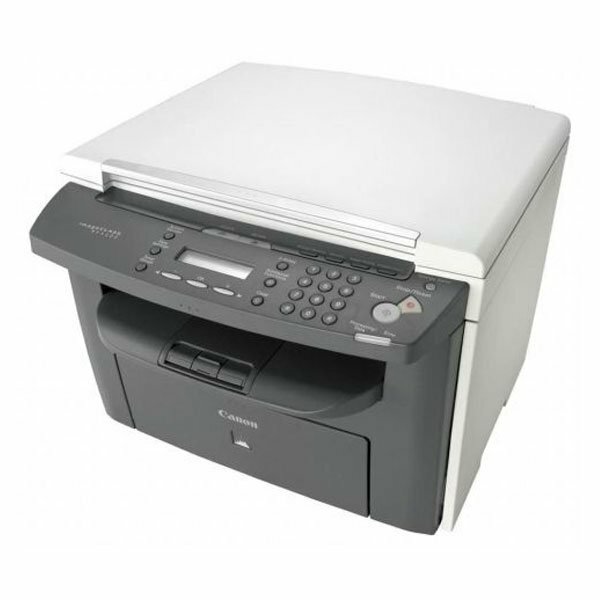 The Canon i-SENSYS MF-4320d laser printer only prints and copies in monochrome, and it lacks a fax machine and an automatic document feeder.